Some people dream of saying ‘I do’ right in their own backyard, while others desire something with a little more wow factor. 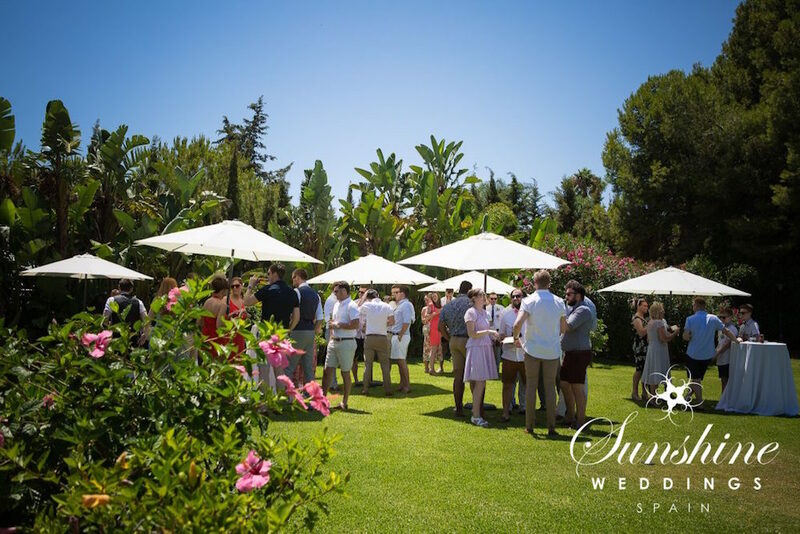 If you’re in the latter category then this show-stopping secluded wedding villa in Estepona is everything you dreamed of and more. The most important decision in planning a destination wedding is the location and we promise you it would be hard to find a more perfect venue than this one to celebrate a lifetime of love together. One of the main advantages of getting married in a private villa over a hotel is that it gives couples total freedom when it comes to the schedule and details of their wedding day. You are not restricted by hotel timetables and schedules and are free to plan the day in a way that best suits your wishes. A private villa also gives couples and their families the chance to bond, spend several days together and build memories that will last a lifetime, rather than just a few hours in a reception hall. Situated on a private road, yet minutes from the old town of Estepona, it is within easy driving distance of both Málaga and Gibraltar airports. With nine bedrooms, the property seamlessly blends traditional and contemporary décor. The villa’s lush grounds are laid out with walking paths meandering through mature gardens, manicured lawns and panoramic views of the mountains and sea. 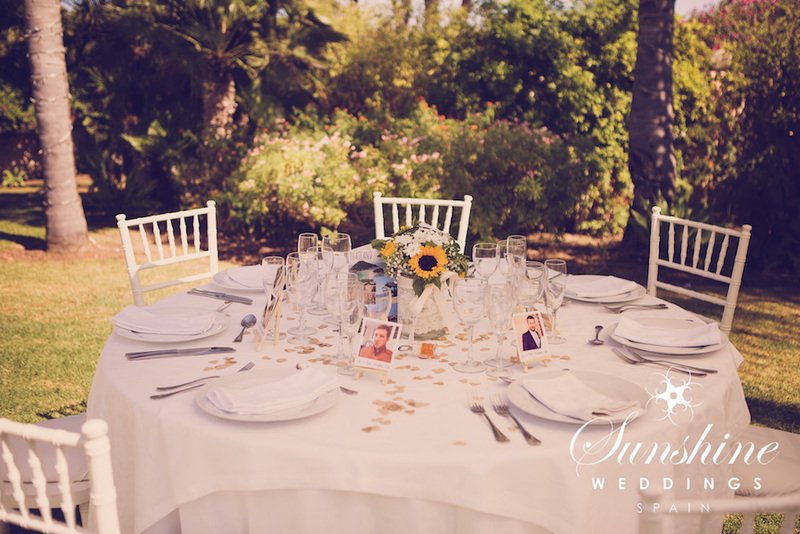 We, the Sunshine Weddings Team, will work with you to make sure no detail is missed, from flowers to menus and everything in between. Guests will be welcomed into the villa’s inviting courtyard with a champagne cocktail while the final preparations get underway. The Mediterranean architecture with its archways, wrought iron and fountain provide the perfect romantic backdrop for any style of wedding. Ceremonies often take place in the rear gardens and when the sun sets the effect is quite magical. 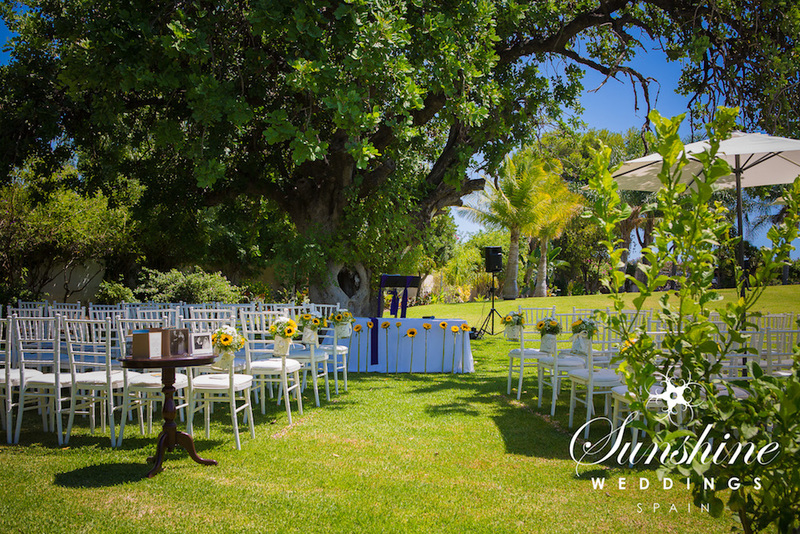 Once the vows have been taken there are countless photo opportunities awaiting you in and around the lush grounds. 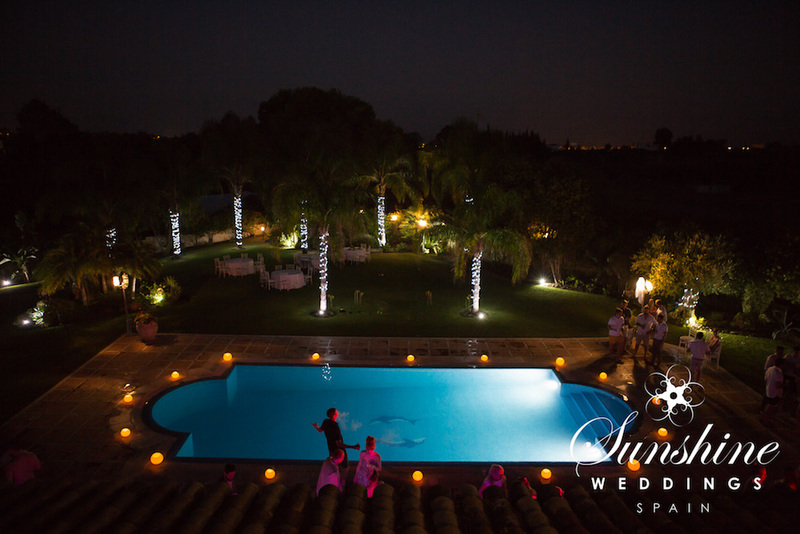 The wedding breakfast can be served around the pool area and you can end the evening dancing under the stars with your guests celebrating your happiness. This truly is the perfect venue to celebrate a lifetime of love together.